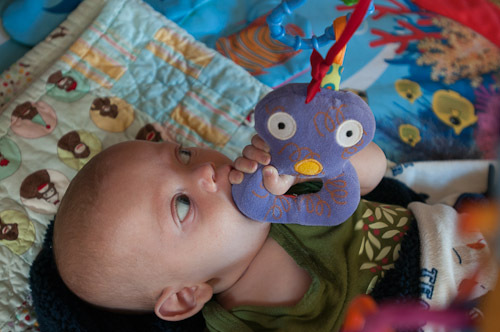 Arlo is developing skills beyond the bare essentials of eating, sleeping, crying, and pooping. This photo is from July 26 and captures one of his first social smiles. He was about 2.5 months old when he started smiling socially, that is, in response to us smiling at him. 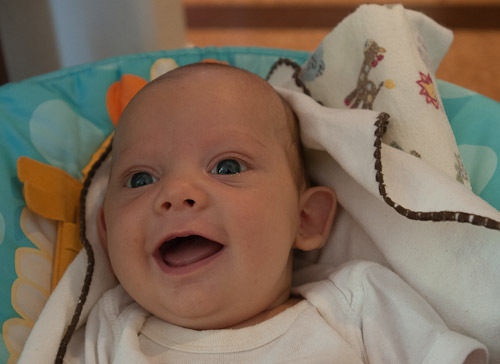 For comparison, Moby's first social smile was elicited at my 6 week postpartum check-up by my midwife, Sharon Wiener. Keeping in mind that Arlo was born almost 4 weeks early, I'm getting the impression that his intellectual development is normal relative to his due date. 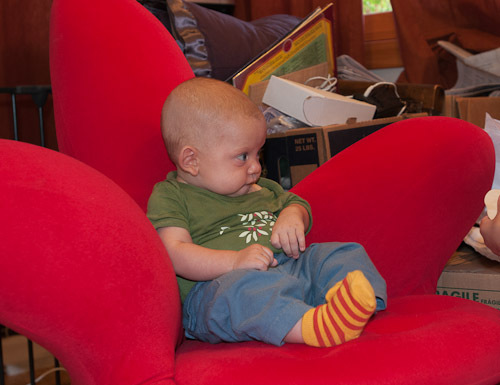 August 17: Around this time, Arlo discovered his right hand. We thus predict he's right-handed. He discovered his left hand shortly thereafter and they are now his favorite toys. 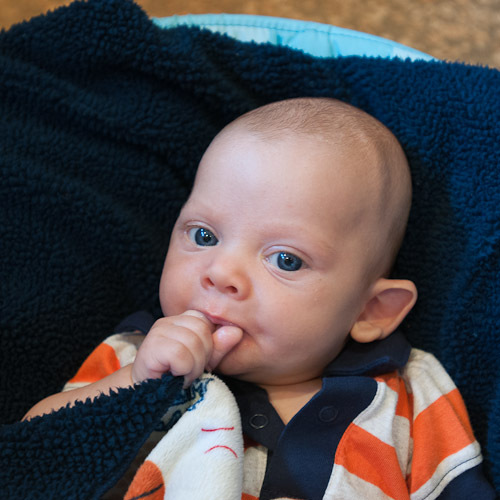 August 26: It's still rare for Arlo to put a toy in his mouth, although he frequently grasps his blanket and pulls it into his mouth. August 26: Arlo seems to have pretty good core strength for a 3 month old. 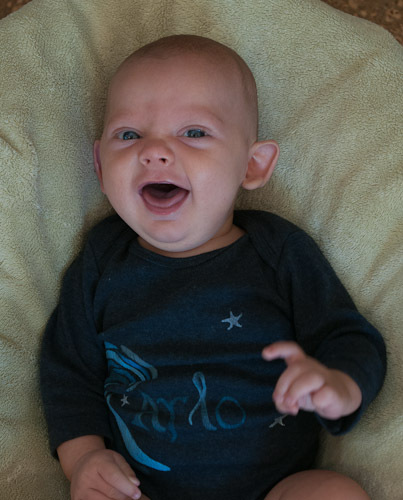 August 27: Smiling adorably in a onesie from Annaliese.